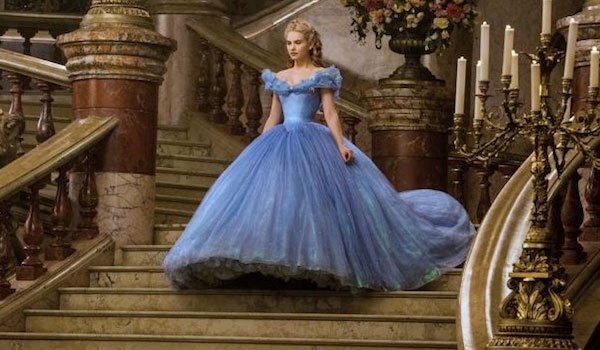 For an extended period of time back in 2013, actress Lily James had the chance to see the world through the eyes of Cinderella. Starring as the fairy tale princess in director Kenneth Branagh’s live-action adaptation, she got to step into the life of the fictional character and literally take a walk around her in glass slippers. As you might imagine, this time gave her some special insight into the philosophy, psychology and mentality of her adopted personality, and she was kind enough to share some of her insight with me during a recent interview. 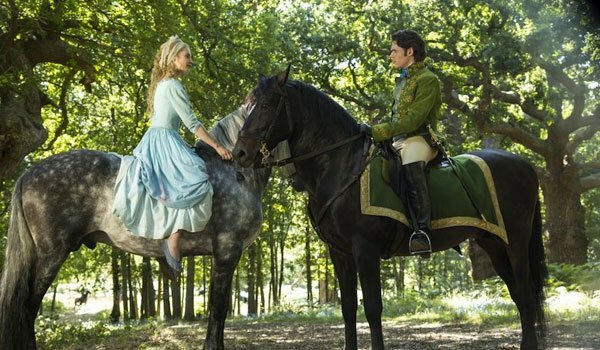 I had the chance to sit down one-on-one with the young actress during a press day for Cinderella in Los Angeles, and it was during our conversation that James gave me a fascinating look into the character of Cinderella, her personal approach to the film, some of the source material’s key issues, and her experience on set. Kenneth Branagh has been known to take key roles in the movies he directs, be it Henry V or Jack Ryan: Shadow Recruit, but he wound up deciding not to take a part in his live-action version of Cinderella. 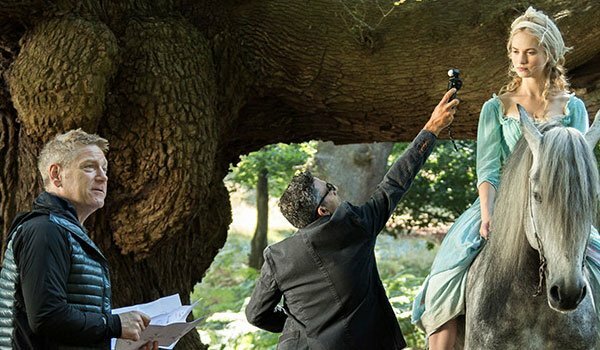 Just because the filmmaker isn’t seen on screen in the fairy tale doesn’t mean he didn’t utilize his experience as an actor during the making of the film, though. Given Branagh’s impressive filmography both in front of and behind the camera, this isn’t a difficult enthusiasm to understand. When first diving into a performance, actors look at their characters in every dimension. They see the heroic sides of their antagonist characters, and the darker sides of their heroic characters. This, however, was not how Lily James chose to approach Cinderella. Instead, she fully embraced that the titular heroine is a fairy tale princess, and that gave her the freedom to actually play her as an entirely flawless person. In a way, that’s why it’s a fairy tale, cause she’s the best at it. She’s the best version of herself at all times. But what I did think was really important was that you see it’s hard. Are you glad she's free of on-screen flaws? Having that outlook on life, having courage and be kind, you engage with the world at a level that means despite the rewards she got, she was actually happy. In the time where she’s a servant and she’s bleak and she’s lost her parents, she’s still found joy in making a little table for the mice and from talking to the geese and singing on her own in an attic, and that stuff is real. Of course, having that kind of courage and strength is damn near superhuman, but there’s a perfectly simple explanation as to why Cinderella can have that, and it's tied to the previous post of her being 100% flawless. When one watches the Walt Disney Animated Cinderella from 1950 as an adult, you realize something about Prince Charming: he’s not really a character. He sees the titular heroine at the royal ball, sings and dances with her, and then sends his henchmen to look for her when she’s gone. That’s it. Obviously that wouldn’t fly in a modern day adaptation of the same story, but it’s really one key scene in the new film that fixes this rather ridiculous plot flaw 65 years later. It makes Cinderella richer too, because you see them together and you see them interact and by sort of reflecting off each other, they’re more interesting, and you understand more about the two of them by seeing them interact. I love that scene, I think it’s beautifully written. Still, some see the story’s central relationship as a bit dated in a modern context, but Lily James has a defense for that, too. Read on. We really didn’t want it to be that the boy is rescuing Cinderella, and that was a main goal, really… Ella is not waiting for a man at all. She’s not dreaming of the prince, and even when she leaves the palace that night, she’s not longing to find him again. She’s sort of treasuring that as a moment, as a night. 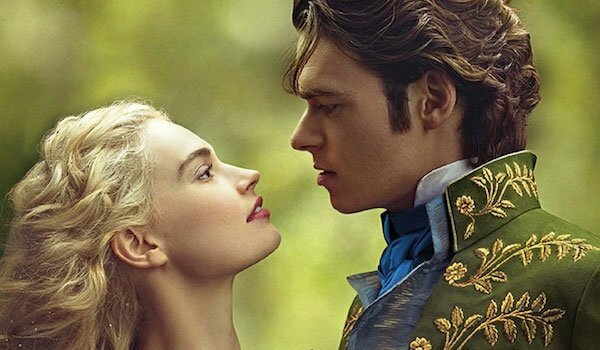 Going further, Lily James believes that Cinderella winds up showing immense strength in revealing who she really is to the prince, and that she felt very much empowered at that part of the story. She added, "I wouldn’t want to do it the other way."